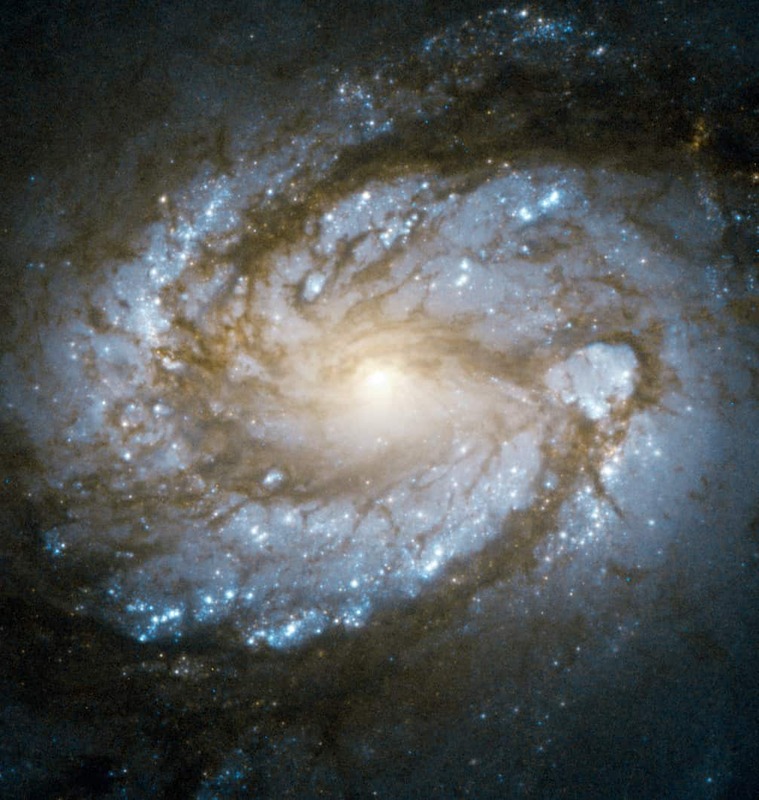 Messier 100 (also known as NGC 4321) is an example of a grand design intermediate spiral galaxy located within the southern part of constellationComa Berenices. It is one of the brightest and largest galaxies in the Virgo Cluster, located approximately 55 million light-years distant from Earthand has a diameter of 107,000 light years. It was discovered by Pierre Méchain on March 15, 1781 and was subsequently entered in Messier’s catalogue of nebulae and star clusters after Charles Messier made observations of his own on April 13, 1781. The galaxy was one of the first spiral galaxies to be discovered, and was listed as one of fourteen spiral nebulae by Lord William Parsons of Rosse in 1850. Two satellite galaxies named NGC 4323–connected with M100 by a bridge of luminous matter–and NGC 4328 surround M100. Branford Marsalis (born August 26, 1960) is an American saxophonist, composer and bandleader. He has been cited as “arguably the most respected living U.S. jazz instrumentalist”. While primarily known for his work in jazz as the leader of the Branford Marsalis Quartet, he also performs frequently as a soloist with classical ensembles and has led the group Buckshot LeFonque. Marsalis was born in Breaux Bridge, Louisiana, the son of Dolores (née Ferdinand), a jazz singer and substitute teacher, and Ellis Louis Marsalis, Jr., a pianist and music professor. His brothers Jason Marsalis, Wynton Marsalis, Ellis Marsalis III and Delfeayo Marsalis are also jazz musicians. Leon Redbone (born August 26, 1949) is an American singer-songwriter, guitarist, actor and voice actor specializing in jazz, blues, and Tin Pan Alleyclassics. Recognized by his Panama hat, dark sunglasses, and black tie, Redbone first appeared on stage in Toronto, Ontario, Canada in the mid-1970s. He has also appeared on film and television in acting and voice-over roles. Redbone’s concerts blend performance, comedy, and skilled instrumentals. Recurrent gags involve the influence of alcohol and claiming to have written works originating well before he was born (Redbone favors material from the Tin Pan Alley era circa 1890s to 1910). He sang the theme to the 1980s television series Mr. Belvedere and has released sixteen albums. According to a Toronto Star report in the 1980s, he was once known as Dickran Gobalian, and he came to Canada from Cyprus in the mid-1960s and changed his name via the Ontario Change of Name Act. However, an article about producer John H. Hammond in a 1973 issue of the Canadian jazz magazine Coda states that he was a native of Philadelphia who moved to Toronto: “Sitting next to Hammond was a young white musician named Leon Redbone from Philadelphia, but currently residing in Toronto”. This image was obtained with the wide-field view of the Mosaic camera on the KPNO 0.9m-meter telescope at Kitt Peak National Observatory. 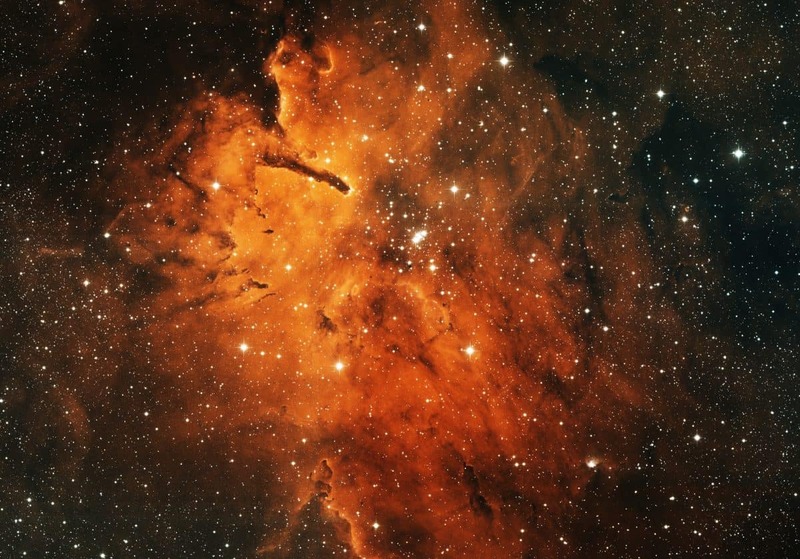 NGC 6820 is a diffuse emission nebula that surrounds the open cluster of stars NGC 6823 (at the center of the image). The intense light from the hot, massive stars in the cluster is blowing away the gas in the nebula, causing the distinctive “pillar” shapes on the left side of the image. The image was generated with observations in Hydrogen alpha (red), Oxygen [OIII] (green) and Sulfur [SII] (blue) filters. In this image, North is up, East is to the left. M27, the Dumbbell Nebula, is found three degrees to the east, and α Vulpeculae three degrees to the west. Pat Martino (born August 25, 1944) is a jazz guitarist and composer within the post-bop, fusion, mainstream jazz and soul jazz idioms. He is noted for his mathematical approach to the instrument (he has released textbooks such as Linear Expressions) and advanced knowledge of music theory. Martino was born Pat Azzara in South Philadelphia. He began playing professionally at the age of 15 after moving to New York City. He lived for a period with Les Paul and began playing at jazz clubs such as Smalls Paradise. He later moved into a suite in the President Hotel on 48th Street. He would play at Smalls for six months of the year, and then in the summer play at the Club Harlem in Atlantic City. Wayne Shorter (born August 25, 1933 Newark, NJ) is an American jazz saxophonist and composer. Shorter came to wide prominence in the late 1950s as a member of, and eventually primary composer for, Art Blakey‘s Jazz Messengers. In the 1960s, he went on to join Miles Davis‘s Second Great Quintet, and from there he co-founded the jazz fusion band Weather Report. He has recorded over 20 albums as a bandleader. Many of Shorter’s compositions have become jazz standards, and his output has earned worldwide recognition, critical praise and various commendations. Shorter has won 10 Grammy Awards. He has also received acclaim for his mastery of the soprano saxophone (after switching his focus from the tenor in the late 1960s), beginning an extended reign in 1970 as Down Beat‘s annual poll-winner on that instrument, winning the critics’ poll for 10 consecutive years and the readers’ for 18. The New York Times described Shorter in 2008 as “probably jazz’s greatest living small-group composer and a contender for greatest living improviser.” In 2017, he was awarded the Polar Music Prize.